Gifford, Ronald Laverne “Tiny.” At St. Josephs Hospital, Hamilton on Tuesday April 18, 2017 after a brief illness in his 82nd year. Ron Gifford beloved husband of the late Shirley Gifford. Loving father to Todd (Sherry), Darrin (Chrissy), Terry (Mary Jean), Shaun (Kim). Proud Grandpa of Jacob, Hailey, Melissa, Kyler, Rick (Sara), Cynthia, Aleeta, Spencer, and great grandchildren Jordan and Jackson. Sadly missed by his sister-in-law Phyllis Gifford and by his nieces, nephews and their families. Predeceased by his brother Ralph. Ron worked for Dunnville Community Telephone and then retired from Bell Canada. Ron’s huge frame earned him the nickname “Tiny” and he was easy to pick out of the lineup whether it was baseball or hockey. 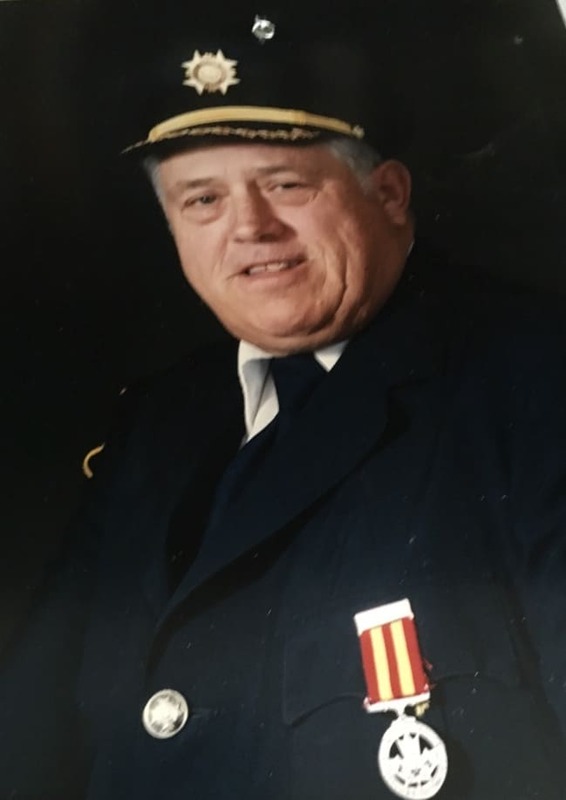 Ron was a dedicated volunteer with Fire Station 2 and retired from active service as Deputy Chief. An avid outdoorsman Ron loved to hunt and fish and passed his love and knowledge of the outdoors to his sons and grandchildren. Todd, Darrin,Terry, Shaun and families.